We asked questions like: What if museums had no walls? How might museums continue to meet their mission using digital technologies? It was a challenge to the group to explore new ways in which technology can connect people and communities to art beyond the physical boundaries of a museum. Together with the guidance of BCG Platinion | MAYA Design, the museums created new digital experiences that invited inquiry, inspired conversation and helped them engage more deeply with a wide range of museum visitors. Guided by design principles that put people first, the four created solutions that were authentic to the mission and voice of their institutions, while being responsive to audience needs. We asked the cohort to design digital solutions from the human perspective. The process was anchored by human-centered design, a discipline that puts the needs of people at the center of the design challenge. Before designing a solution, we asked the museums to develop an understanding of what the problem is, whom they are designing for and how people will use it. We also encouraged them to explore how new technology connects to the museums existing systems: both their current digital infrastructure and the organization’s people and processes. While the goal was to develop a digital solution to better engage audiences, the museums considered the experience more broadly. They examined how digital would work across other areas such as the physical environment (both within and outside the museum), content that visitors consume, and other systems like ticketing, membership databases, etc. After each museum settled on a conceptual direction, they refined it through user engagement, testing, and feedback from a wide range of stakeholders. This iterative process improves projects substantially. Onsite tour of the virtually interactive, digital exhibition; Invasive Species by Felice Grodin on the grounds of the PAMM for participants of the Arts and Technology exploration of new ways to connect people to art, at the Perez Art Museum Miami. On April 26, project teams from the four museums gathered at PAMM to present their pilot projects to members of other Miami-based cultural institutions. With approximately 60+ people in attendance, the audience met Dot, a witty and amusing chatbot assistant developed by Akron Art Museum, who helps friends and family talk about and make connections to art in a personal way. They tested first-hand the PAMM augmented reality (AR) app that brings to life, in a 3D- immersive environment, selected works of Felice Grodin, a Miami-based artist that deepens the dialogue between art and climate change. 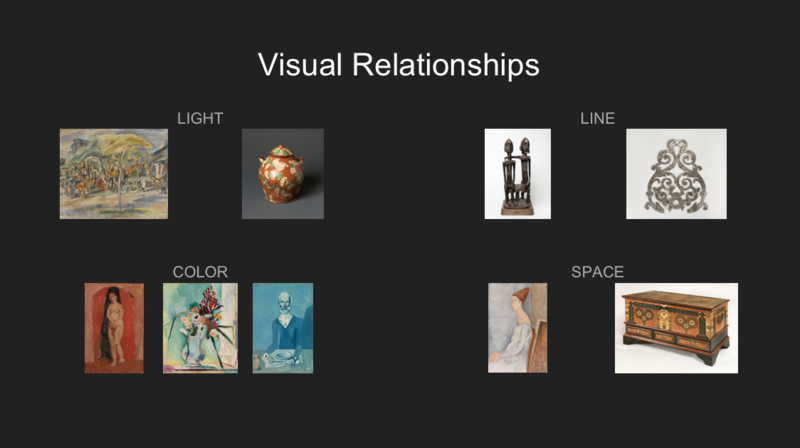 The Barnes Foundation showed us how to use an app to make connections between artworks by using color, lines, space, and light – just as the foundation’s founder did - and the unexpected combinations that can emerge as a result. And finally, ICA Miami revealed how to create engaging video content that will enable visitors to connect to art and to the ICA community. All acknowledged that digital disruption is pervasive and has had an industry-wide effect; cultural institutions aren’t immune. But beyond implementing technology for technology’s sake, organizations need to focus on changing mindsets and processes to stay relevant. In the early days of their project, Akron Art Museum experimented with an idea to help visitors directly engage with museum staff, setting up a desk with a “The curator is in” sign (a riff on “the Doctor is In” sign). However, no one spoke to them or asked them questions. The insight revealed that visitors don’t want to engage with the staff, but rather with the people they’re with. This small discovery shifted the design direction and transformed the solution to Dot, a digital chatbot that offers visitors a more self-directed, customized experience, so they can connect with their family and friends. Culture change is bigger than any individual digital solution, so developing innovation as a core organizational competency is a must. By evangelizing and promoting human-centered design and digital transformation within their organizations, participants planted the seeds of transformation that lead to long-term innovation. Next comes buy-in, policy changes, and evolving internal mindsets. Ultimately, big ideas don’t need to come from the top. Building internal innovation practices means methodology can replace a reliance on strokes of genius. It is best to include anyone whose role will be touched by new technology implementations early in the process. Include leadership and staff in early workshops and prototyping sessions. Technology is culture-shifting in art museums and any implementation requires buy-in and support from the directors as well as staff. 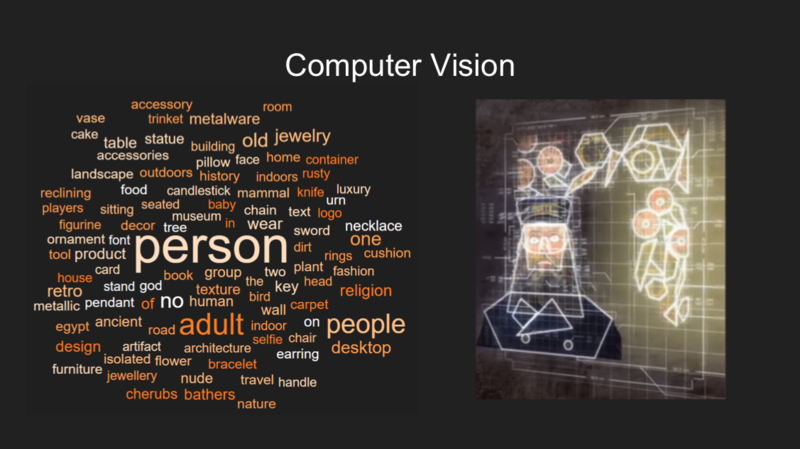 Over the course of their project, one museum began building a larger vision for their organizations’ use of technology. By creating a digital taskforce, the team has started the process of creating a long-term strategy and priorities for the museum. This type of exercise can set a direction that makes decisions about digital projects much easier. Tommy Pace, from the ICA Miami, during his presentation as part of Arts and Technology exploration of new ways to connect people to art, at the Perez Art Museum Miami. We invest in projects and programs that align with the mission and goals of arts institutions. Rather than a technology-first approach, we ask organizations to look at their institutional goals and invest in technology that helps reach and exceed those goals. We believe in an audience-first approach. Building transformational experiences requires a deep understanding of audiences. Our funding and programs support institutions to develop a better understanding of the people they serve and to develop technology solutions to meet audience needs and expectations. We trust the instincts of artists. When artists are empowered to be part of technology decisions, institutions find themselves in new and exciting places. Read more about the Knight’s Arts Tech Initiative on our site. Chris Barr is director of arts technology at Knight Foundation. Traci Thomas is a senior strategic designer with Maya.